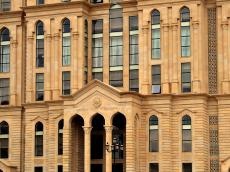 According to the requirements of the Electoral Code of Azerbaijan, the process of determining voter lists throughout the country has been launched in January 2019. As told by the public relations department of the secretariat of the Central Election Commission (CEC) to Trend, more than 30,000 members of all lower election commissions in the country were involved in this large-scale work. The process is conducted in close cooperation with the relevant bodies of the Ministry of Internal Affairs and the Ministry of Justice, as well as local executive structures and municipal bodies. As per the legislation, the compilation of a single electoral list at the first stage was carried out by district election commissions. Based on the data submitted by local executive bodies and municipal structures, members of the district election commissions determined the voter lists of their polling stations, and by February 5 submitted the electoral lists compiled from the polling stations to the appropriate district election commissions. District election commissions should check the voter lists, reanalyze information and statistical data received from the relevant authorities, and, after specifying the provisional lists for the respective constituencies within their authority, submit them to the CEC by April 5. In turn, the CEC will compile a list of voters across the country. The process is planned to be completed no later than the end of May, after which the newly compiled single national list of voters will be posted on the official CEC website and made public. Citizens who have not found their names in the electoral lists can call the CEC hotline at 115, or contact the Commission by filling out an application form on their website.